On Saturday, we rode through Yellowstone National Park in Wyoming. Though we have been to this park three times before, we never get tired of the breathtaking scenery and the wildlife throughout. 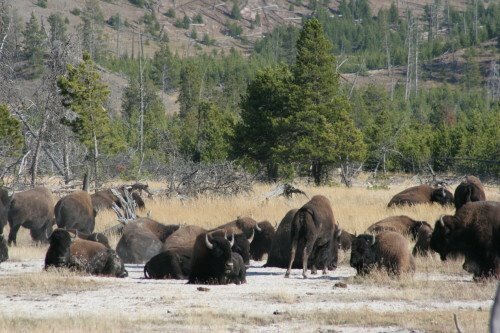 Here, a herd of buffalo casually rest beside the road, crossing at their leisure and often stopping traffic.